We are so proud of these young folks at iMatter who are taking action on climate change in their communities! These are the programs and people we want to encourage and support our elders to get involved with! Voices of Elders – Video from Washington, D.C. The Voices of Elders Are Needed in the Climate Conversation. Hear a few reasons why elders are taking action on climate change and why we came to Washington, D.C.
Observations of an Elder in Training…. The climate movement is picking up steam and its increasing diversity is a big reason why. No longer can any headline say e.g. ‘environmentalists decry roadblocks to climate action.’ That’s because it isn’t just environmentalists speaking up anymore. We’ve got a big and bigger tent. There are scientists of course, there are experts on national security, food security and you-name-it security. There is the faith community, labor, and more. And generationally there is the youth movement, there are moms and dads – and now elders. The climate movement needs the unique voices of elders. Parents of school-age children have the exquisite focus of day to day parenting to bring to bear in our advocacy. 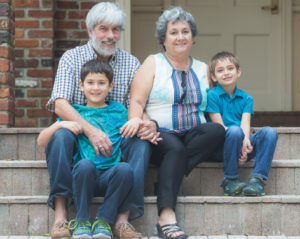 Elders – grandparents or not – have the long view. As I meet more ECA members I see plenty of internal diversity but the common denominator perhaps is the passion that comes from experience and dynamic reflection. A different flavor! We need you and it’s a pleasure to think and take action together. 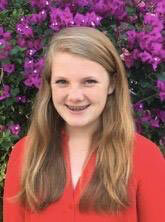 Delaney Reynolds is an amazing young woman who lives in Miami, Florida. At the age 16 of Delaney became very much aware of the danger climate change poses for her, her community and the wider world, and she is not sitting back and waiting for others to take action. Not Delaney. 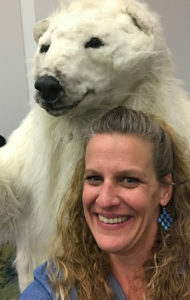 She is the founder of the Miami Sea Rise, has created an awesome website miamisearise.com, and has published three books for elementary and middle school students on climate change and sea level rise. At age 16, those are stupendous accomplishments. But on the issue of climate change, Delaney is unstoppable. She has created PowerPoint presentations for young people and delivers them to students in schools, not only in her home state but via video conferencing to students in places like India and Vietnam. Delaney’s work is being noticed. She recently gave a TED Talk and is also featured in a video alongside scientists, politicians, and authors, Ahead of the Tide, and she was selected as a Youth Leadership Council Member at EarthEcho International, a nonprofit environmental and conservation organization founded by siblings Philippe and Alexandra Cousteau. In a conference room in the American University Washington College of Law in Washington, D.C., 100 older adults listened intently as Ellen Stofan, former chief scientist at NASA, summarized the latest research on global warming. Using vivid maps, she showed that if current trends continue, the average surface temperature on Earth would be 113 degrees Fahrenheit by 2099. Margo Frank’s interview on station KZYX on the program Corporations and Democracy. Thank you to Mendocino County Public Radio Broadcasting for hosting Margo and talking about ECA. January 9, 2018. ECA Member Meg Newhouse interviewed by Leslie Wittman from Stories with a Heart Videos. ECA Member Meg Newhouse interviewed by Leslie Wittman from Stories with a Heart Videos. Meg reflects on Elders Climate Action Day in Washington, D.C. as well as participating in the climate march. She reminds us of the question “What did you do, once you knew?” Thank you to Stories with a Heart Videos for this wonderful production.